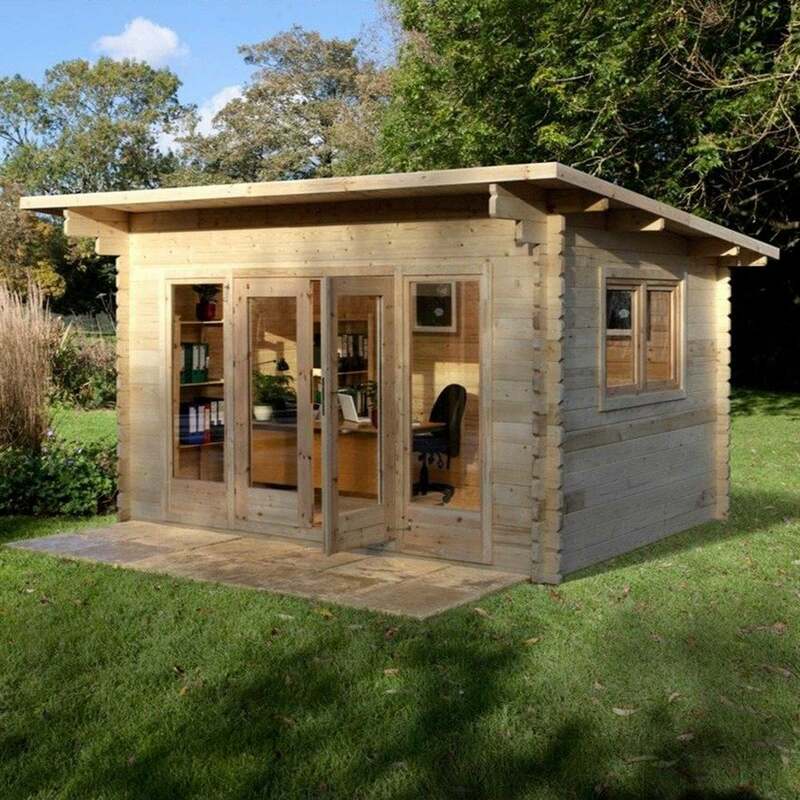 Forest Garden Melbury Log Cabin 4.0m x 3.0m: The Melbury Log Cabin by Forest Garden features a sleek and modern design perfect for use as a home office, gym or for somewhere to relax and enjoy your garden. The 4.0m x 3.0m Log Cabin is made with smooth-planed 44mm interlocking logs and 19mm roof and 28mm tongue and groove floor boards for a durable and sturdy structure. The Melbury Log Cabin includes double glazed doors, two full length windows and a side twin opening window to allow plenty of natural light to filter through and air flow into the cabin. The Forest Garden Cabin features a stylish pent roof which lets rainwater to fall down the building and the roof is finished with green/ grey fleck rectangular roof shingles for an attractive design.